This garden was short on space and tall on dreams. 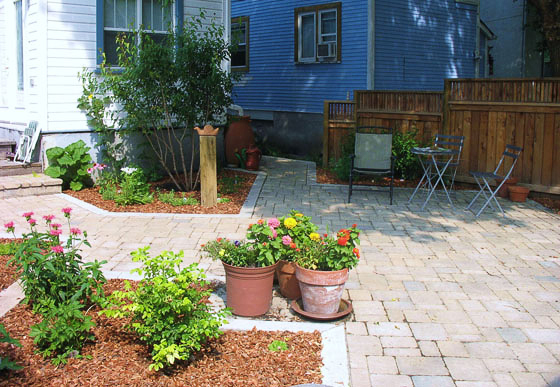 While most of the area is paved in order to accommodate vehicle parking, the real use of the backyard is as a relaxing, tranquil, urban sanctuary. The parking pad is set at an angle and integrated into a patio that connects it to the deck and the walkway on the side of the house. The angular plan creates several planting beds which both soften and visually enlarge the space. 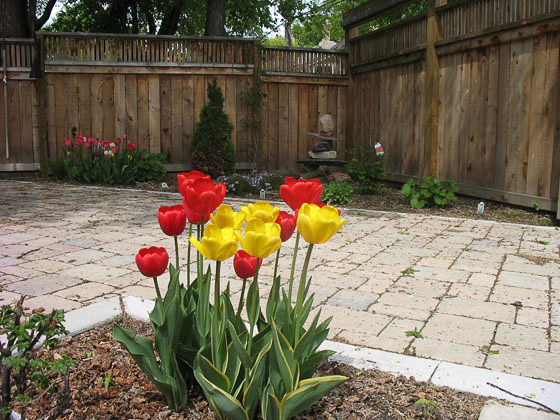 Plants were selected for colour preference (yellows and purples), scent, and those that offered year round interest. 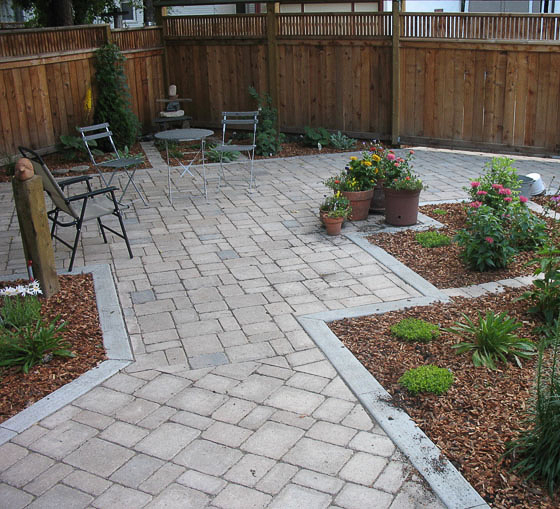 As there is very little space for plants, every plant fulfills at least two functions. 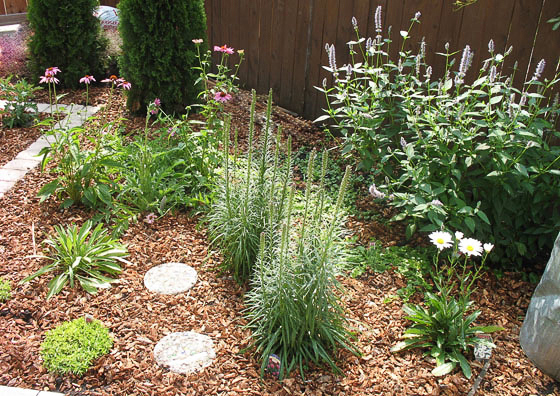 In addition, the garden is low maintenance and respectful of the environment.